Our resident techno twins dish up the dirt on their favourite apps! 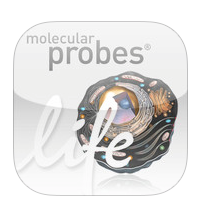 Check it out and let me know which app you would like to try! – Tasks are now due at a time of day in addition to being due on a date. 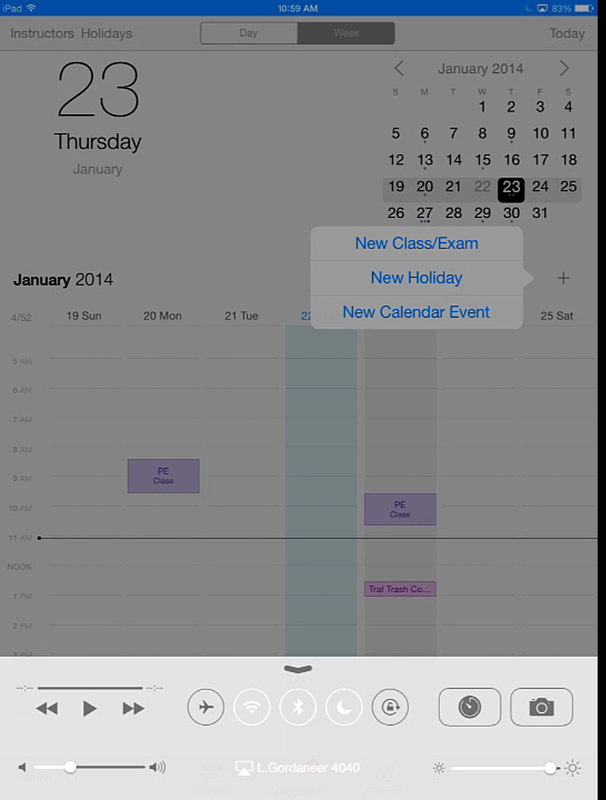 I was especially interested to the second point : “Improvements to calendar sync”. 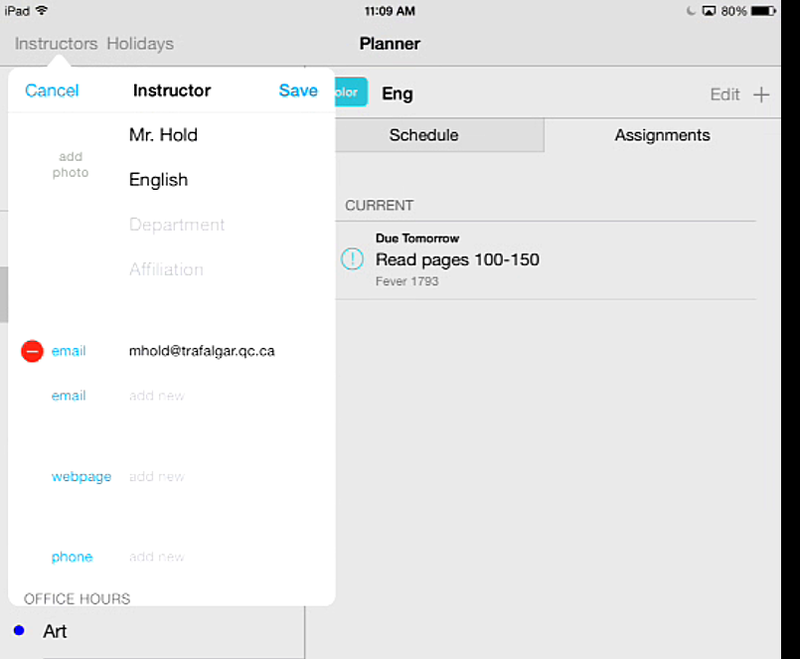 Could it be that I finally found an app that gave you a weekly view of your assignments, not only of your schedule? That was easy! 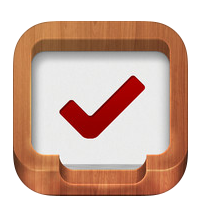 So back to the default screen which is accessible via the checklist icon. 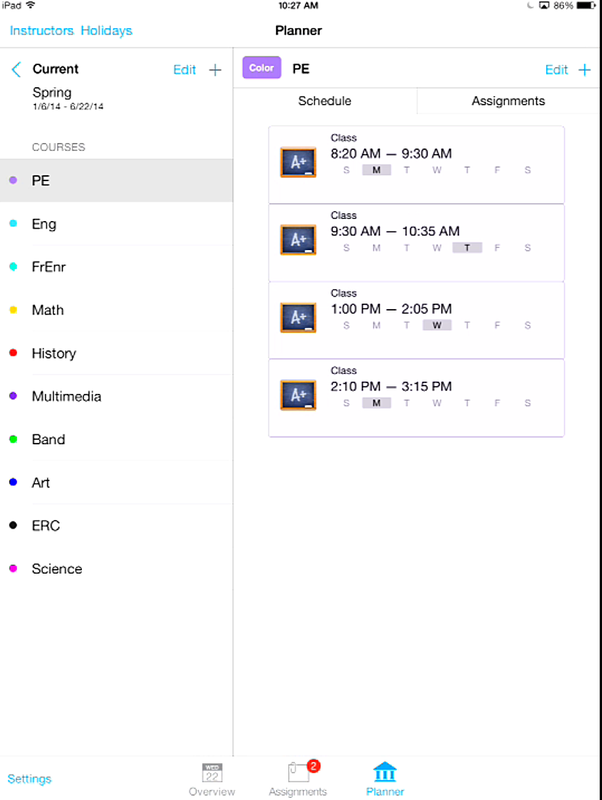 Erudio doesn’t allow for a 2 week schedule so it would not be useful to you use it for class schedules. Although this is not as important as keeping track of the homework, as the students have their schedules in other places, it would have been nice. However, you will also notice that my PE classes are showing up. This is annoying because Erudio doesn’t allow us to have an every other week schedule so both week 1 and week 2 schedules are showing up. Although it is really easy to use once you get the hang of it, you have to get the hang of it. Also the fact that they require you to add sections to your courses and that they don’t allow for a 2 week schedule is a major problem. Yes. The interface feels warm and welcoming, is simple, uncluttered and user-friendly. 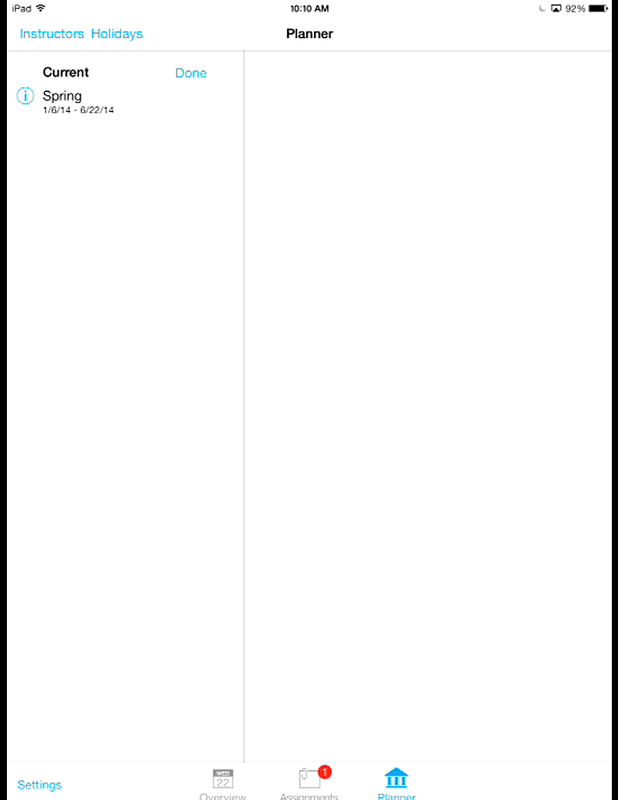 Out of all the apps, I like the default view the best. 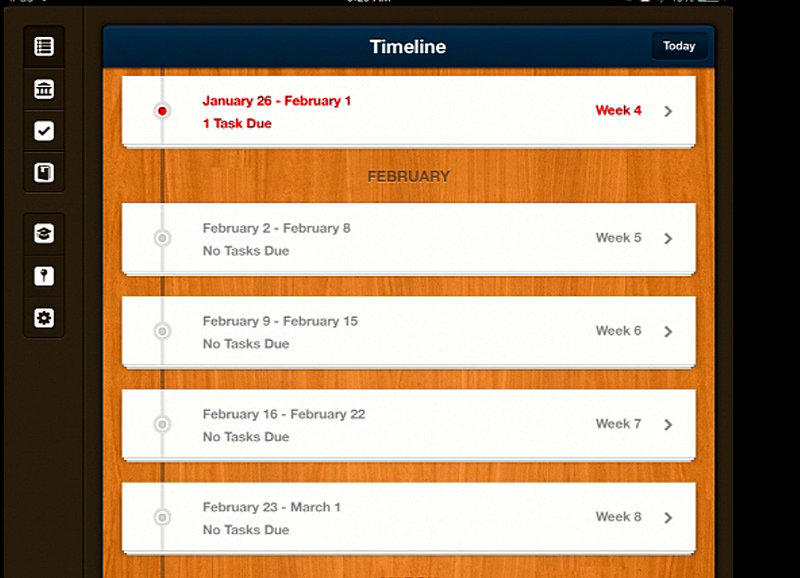 It gives you your weeks in a line with the number of tasks due that week. 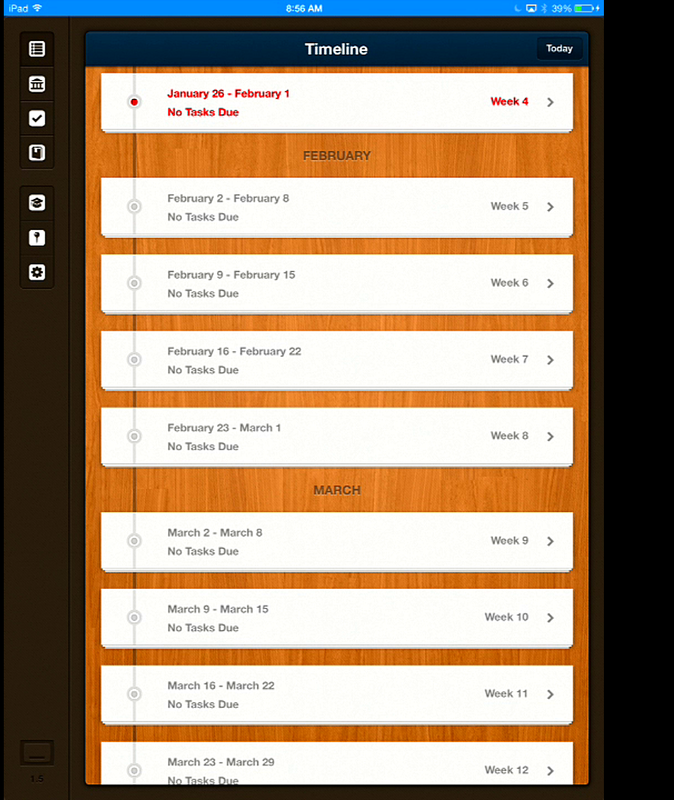 If you want to go more in detail, you simply tap the week.In this view you can even see the whole semester. The weekly view however is in list format. 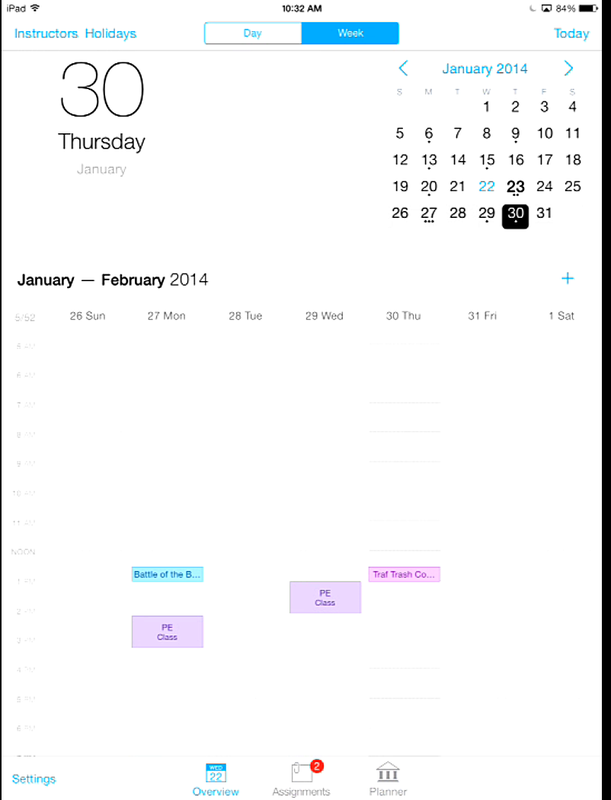 It would be nice if you could see it in an actual calendar view. Yes! It was very pretty. Yes, the alerts lets you choose when you want to be reminded- a day before, etc. 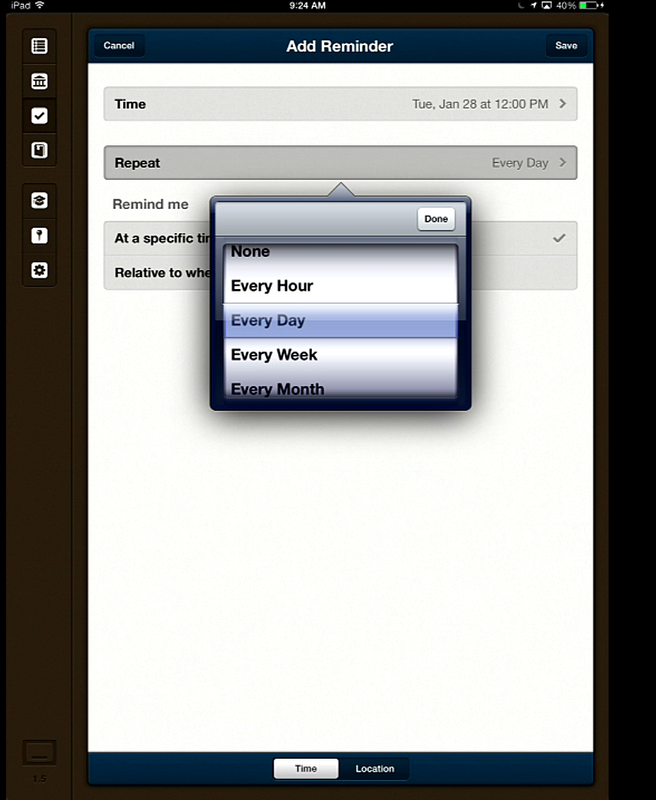 It also allows you to add repeat reminders which is awesome. 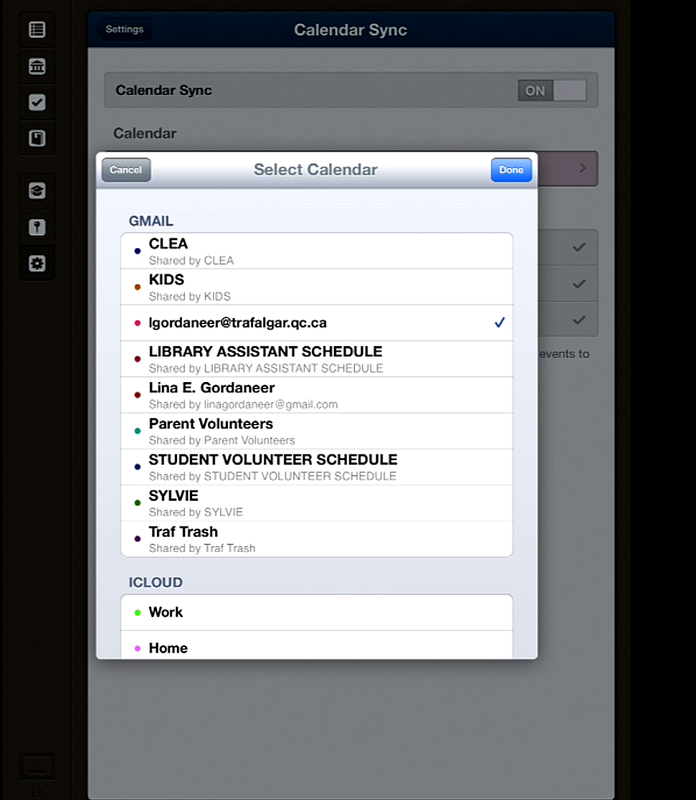 Yes- you can sync Erudio with iCloud and you can import your iCal calendars and your subscribed calendars into the app. 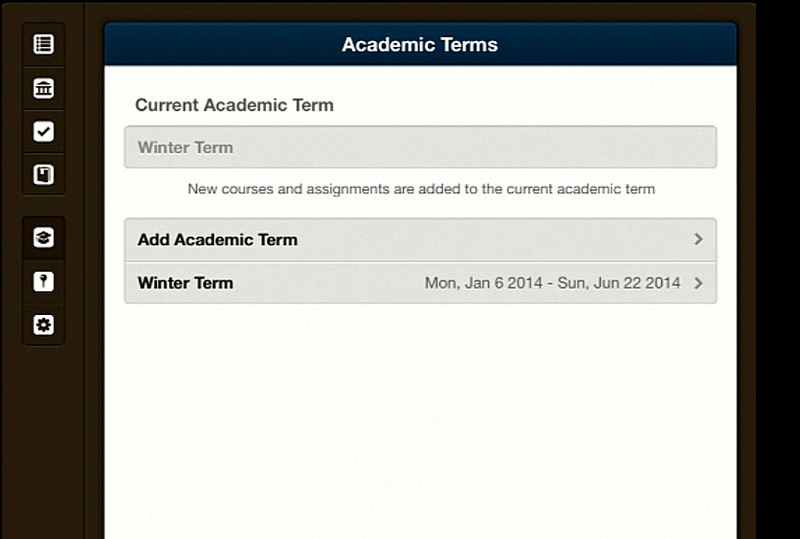 Erudio has some very nice features, all of which are overshadowed by the limitations to the course schedules. 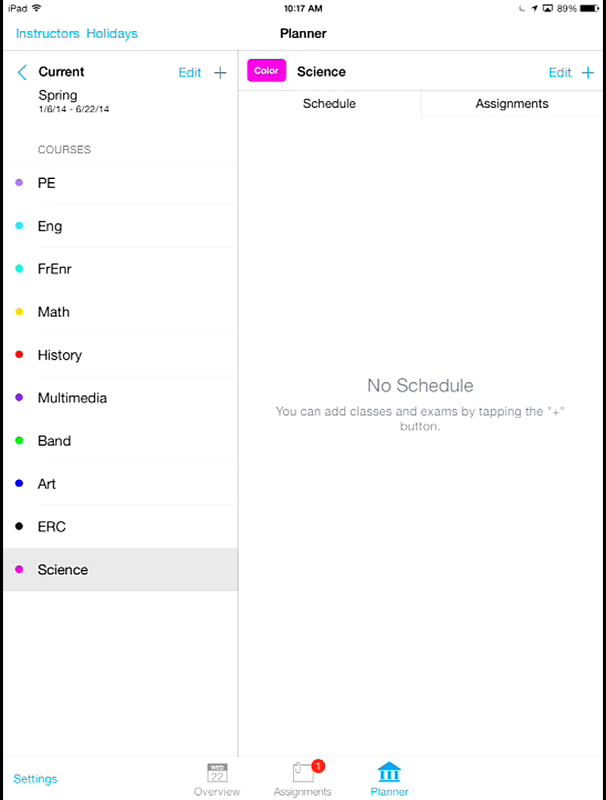 And although they have gone the farthest in letting us add assignments to our calendar list view, I would like it if they went even farther and let us have an actual weekly calendar view, for those students who need to have a visual of their week. Huge touch-screen displays, 3D printers, and a host of programmable robots are ready for class. Read this article by Andrew Hoyle on CNET. A spectacular Digital Citizenship lesson plan for Grade 7 students from Langwitches. I especially like the model where they students are asked to write what they think they know about Digital citizenship before they look at certain videos and discuss ideas. Then at the end, they are asked to write how their view changed. I am definitely going to use that in our next session! When I first clicked on this article I thought they were going to talk about the propensity of open data available to us in this fabulous digital age. I thought it was going to be an article on how to use statistics in the classroom. The data they are talking about is the kind that you collect in real time from your students using a quiz tool like Socrative. I have talked about this subject before, but lately I have seen some renewed interest in this subject- a teacher came to me last week asking about a good tool for this purpose. The author of the article below makes a very good case for using these tools to gage the level of understanding of her students, or taking a poll and asking them what they feel they need to work on. 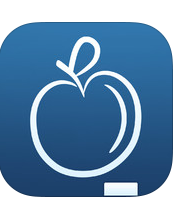 As a 1:1 school, this tool is particularly appropriate as each student can use their devices and reply to the quiz. Their answers are hidden from their classmates (which hopefully translates into more honest) and the report is immediate which means that it will be very evident who is not understanding and intervention can happen right away. 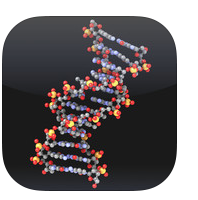 I would be interested to hear from any teachers who have used an online, interactive quiz tool with their students. Let me know! The phrase “using data to drive instruction” is showing up everywhere in education circles lately. Particularly with the incorporation of the Common Core State Standards. Last year I reviewed the light version of Istudiez Pro. Even with the light version, it clearly had a lot of options that were very useful for us. So I decided to splurge and pay the $2.99 to try out the paid version. But for the low price of $2.99 you can have (I am assuming) unlimited semesters, etc. For this review, I thought it would be good to pretend I was a student,so I have shamelessly stolen my daughter’s schedule. 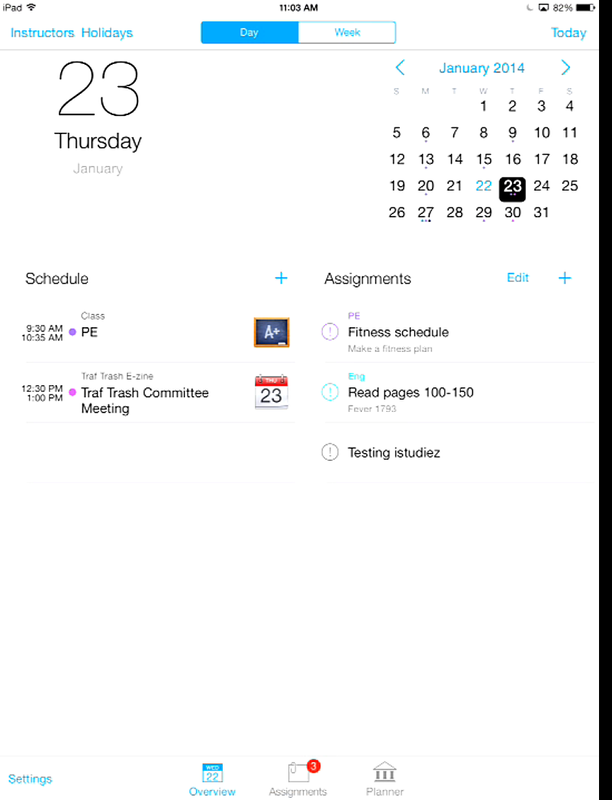 I did this instead of using a generic student because I have a calendar of her extra curriculars in my iCal, and the great thing about Istudiez pro is that you can sync your calendars to the app. This is important as some girls will not want to add all the infrastructure (eg. semester, classes schedule, instructor) which they would have to do by hand. They have this information in many other places so it might not be necessary. Okay- it took me about two minutes to figure out where I can add my courses. Starting at 10:12 am. It took me about five minutes to add my classes. Once again, students could stop here. They have their schedules usually screenshotted on their iPad so do not necessarily need to add their schedule into the app. But let’s pretend I am a keener and want all my info in one place. Will the app be able to deal with our weird 2 week schedule? Let us see! 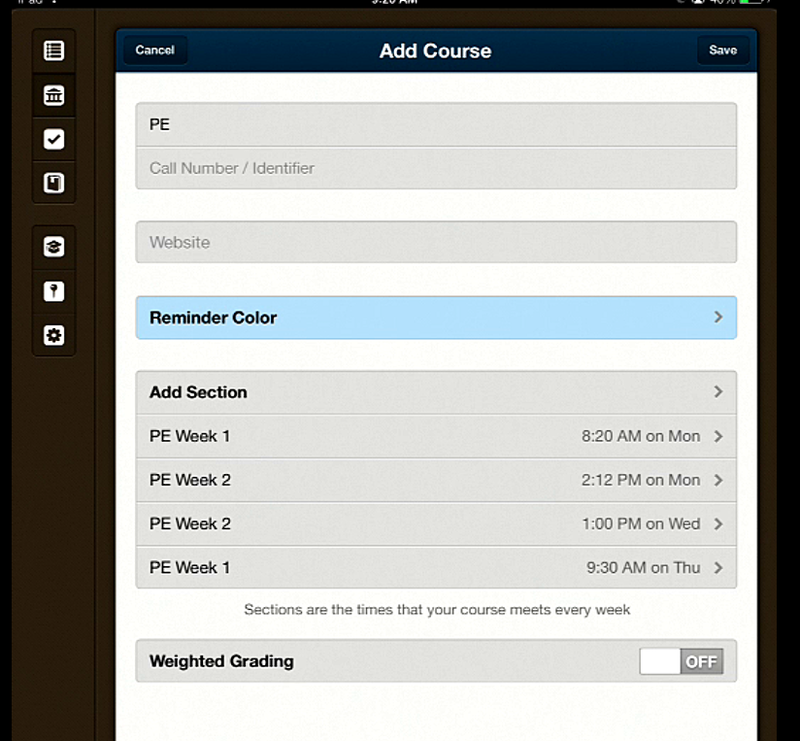 There is also a grade tracker which we will ignore- students can or cannot explore this option on their own. Yes, depending on how many things you want to input into the planner. If you want to input your whole schedule, it will take you some time but it is do-able and pretty easy, if a little onerous. But if you are happy with simply adding classes and assignments, it won’t take you very much time at all! Yes. 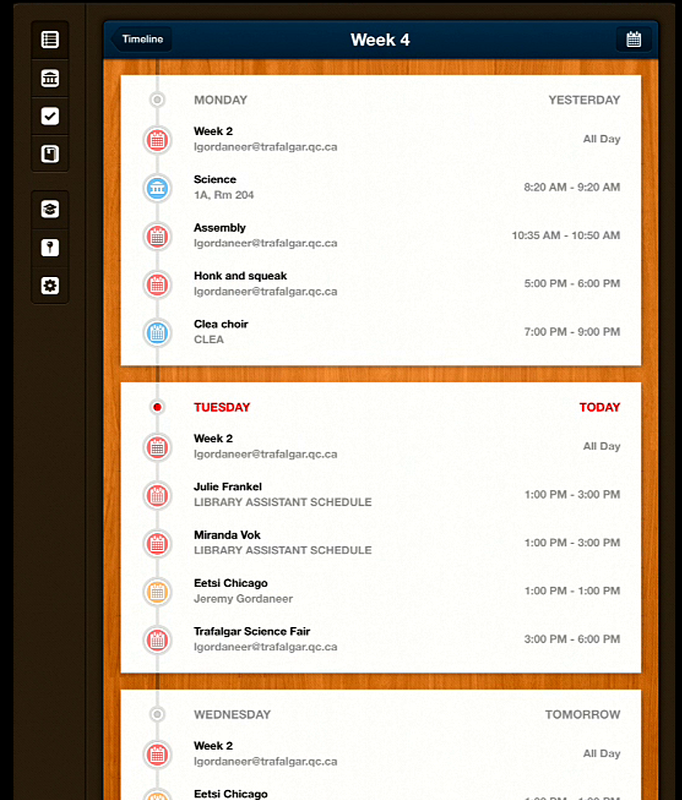 I really like the default interface, which is the daily view. On what side you have your schedule, and on the other side you have the assignments due that day. It is clean and very helpful. And once again, here is where the app lets us down. 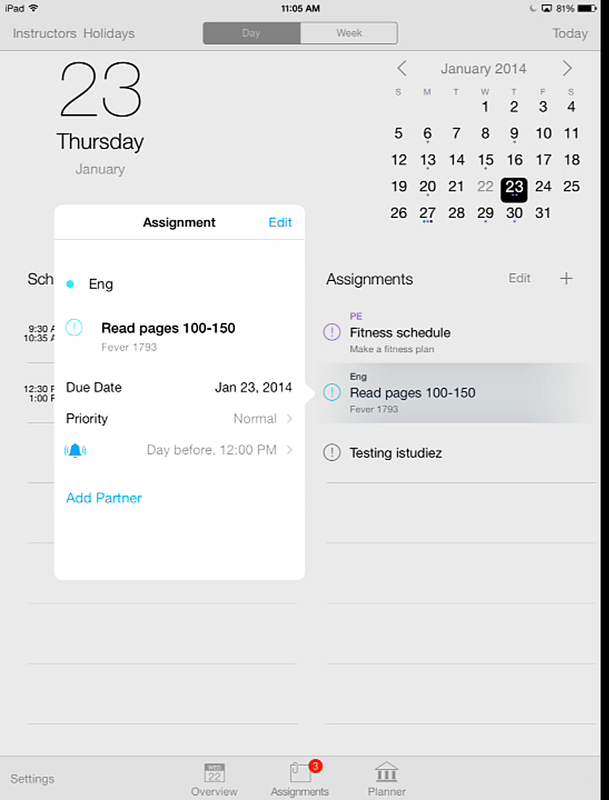 There is a daily view of both schedules and assignments, but the weekly view is only what has been put into the calendar, not the assignments due. Although we can see when we have something due by the little dots on the monthly view, it doesn’t get more specific than that. Yes, the alerts lets you choose when you want to be reminded- a day before, etc.However there is no repeat. 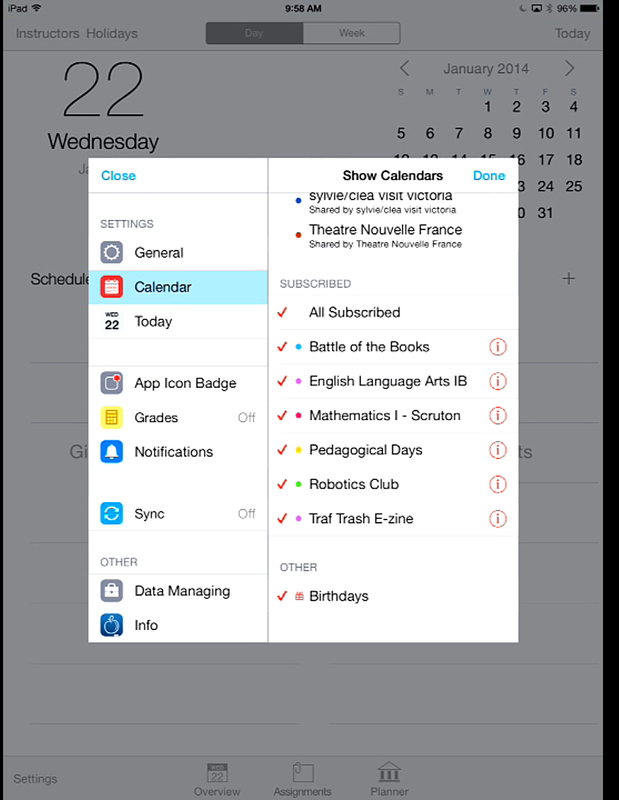 Yes- you can sync iStudiezpro with iCloud and you can import your iCal calendars and your subscribed calendars into the app. 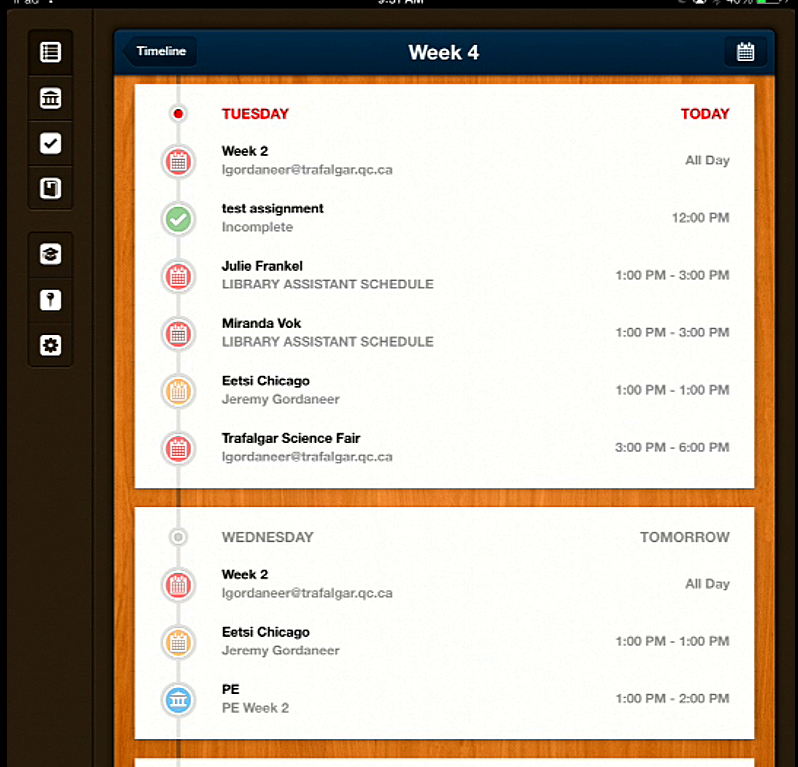 Not bad, but the inability to get a nice visual of your assignments due in a week is still a problem. 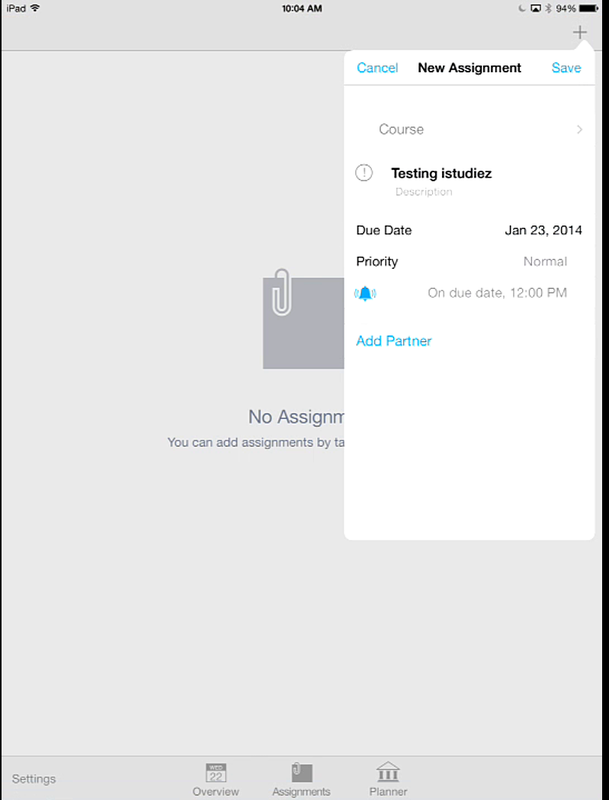 I wonder if the Istudiez pro would consider making adding assignments to the calendar as an option? If so, it would get a 14/14!